About the 4A. 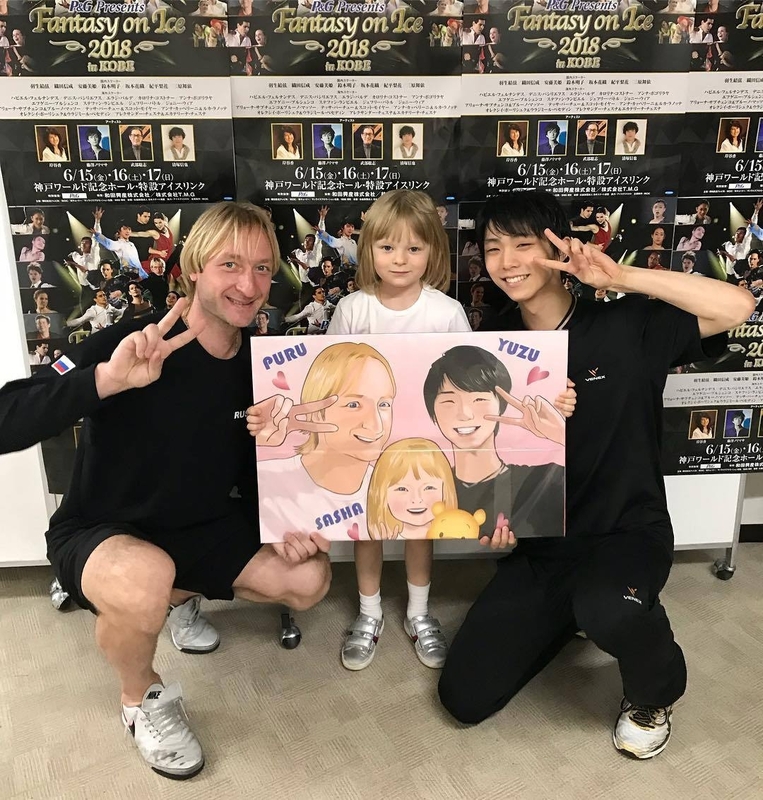 Before I knew about Yuzuru I was really depressed. Seeing his beauty, grace, and power on the ice gave me hope for life. I chased after this idea of being "free". At the time I thought that meant having no anxiety and feeling unburdened. During Rostelcom I prayed if Yuzuru was hurt he wouldn't skate. But, he did anyway. Over the next couple of days I came to the conclusion being free meant if you felt convicted about something (like Yuzuru about skating in Russia) that you do it regardless of what you "should" do or what people might think about it. Yuzuru taught me that lesson, so I want him to continue being free. I pray he'll get that quad axel if that is what he wants. So, this is my own personal experience and I'm not trying to speak for anyone else. I grew up in a city in the US without a large asian population and I couldn't differentiate between any Asian. It wasn't until I got into a Japanese girl group that I could start seeing the differences. Now I can easily differentiate and can usually name the country of decent. That being said, when I first saw Yuzuru (and now as well) I thought, "Surely he is the most beautiful person ever created." I also have liked anime for a very long time and I noticed that my friends who find him the most attractive also like anime. There are many more reasons I love him, however I'll stop there because otherwise this post would be even more ridiculously long. I would also like to express that in a decent amount of pictures of Yuzuru, he does look like he has double lidded eyes (not that I necessarily prefer that, just for people that do). This might be a bit In the past I was under the impression the top 3 world standing or maybe season standing skaters wouldn't meet in the Grand Prix series (unless of course it was in the final). Those 3 are Nathan, Shoma, and Yuzuru. Is it only based off the results at World's instead? Wow, this is really great thank you! I have a question about layouts if anyone could help. In Yuzuru's original layout he planned to do the 4axel as the first jump in his freeskate. I've always wondered why skaters would put such a great risk at the beginning of a free skate instead of a short program? I've heard falling is very exhausting and it seems it would be easier to push through a shorter program with a fall. Since ultimately the medal goes to the person with the highest combined total from both the short program and free skate it doesn't make sense to me to put it in the longer program. Is it about getting a small medal in the short program? Or maybe having a confidence boost going into the free? Thank you so much! Sorry, I just got freaked out that my second favorite skater also wouldn't be there ;_; I hope Yuzuru is recovering well and thank you to all the amazing fanyu translators we have!! I'm sorry to post this here, but I flew in today to watch Four Continents and hearing this devastated me as I like Shoma, even though Yuzuru is my favorite When I went to find more info on Shoma pulling out, I couldn't find anything. Can you please let me know where you heard this from? Brian said in an interview (I'm sorry I'm not sure which one) that he was pretty positive Yuzuru would never do a quad lutz, at least not in competition, ever again.